Sometimes you just can't beat the classics. Yggdrasil Gaming certainly agrees, but there's no reason why you can't give old favourites a fresh lick of paint, as it were. 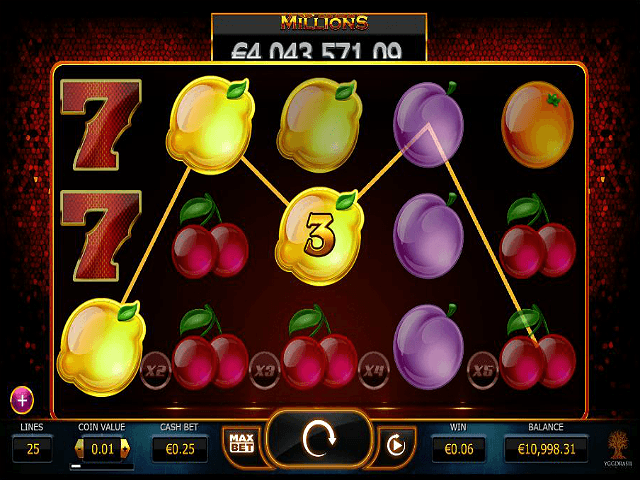 That's exactly what the Joker Millions online slot is – an old-school fruit machine with lots of modern style. It's got a progressive jackpot too, so there's lots to play for, not to mention the bonus features. If you loved the feeling of playing the slots in the arcades or over a drink with your mates, this will deliver in spades. Or cherries. Play Joker Millions for Real Money! While it might be simple in style, this lends the Joker Millions slot game a real sense of class. The glitzy deep red border and gold trim make you feel as if you're in a high-end casino, and the HD graphics drive home that sense of quality. The symbols are classic of course, but they're realised well. Multipliers are in between the reels, which could be confusing, but they stand out enough, and being just above the info bar means you can glance at them easily. The info bar itself is also nice and clear, so you can always see your bet amount and balance. If you've never played online slots before, this is a great one to start with. The symbols will be familiar to anyone who's ever seen a fruit machines – watermelon, bells, lucky sevens, oranges, cherries and so on. The Joker is the one you want to watch out for; more on him later. 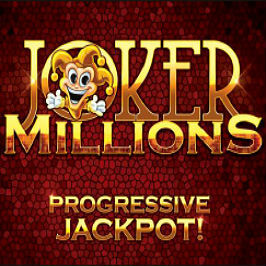 The progressive jackpot means you can potentially win some big prizes, and you’re able to play for as little as 0.25 coins. If you can match up the lucky sevens, then you can land an impressive 300 times your stake, provided you get all five across a payline. 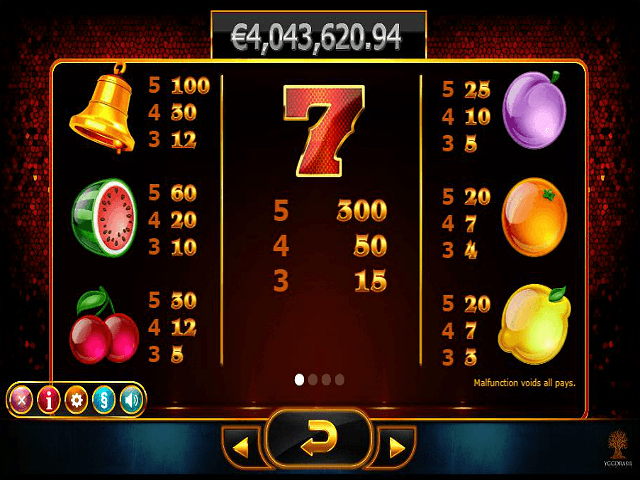 There are three possible bonus modes and features in this online slot. The column multiplier is applied to any win in the standard game, provided the columns have the same symbol going from left to right. The more columns you get like this, the higher the multiplier will go. Then there's the freeze and respin. If you get a winning spin, the winning symbols will freeze in place and you'll get a free spin. If you can get additional winning symbols, you'll get another freeze and another respin. There's great potential to stack winnings if you're lucky. Now for the jackpot. Remember the Joker? If you can land five of him from left to right you'll activate a multiplier that can raise your stake up to 1,000x. You'll also get the freeze and respin. 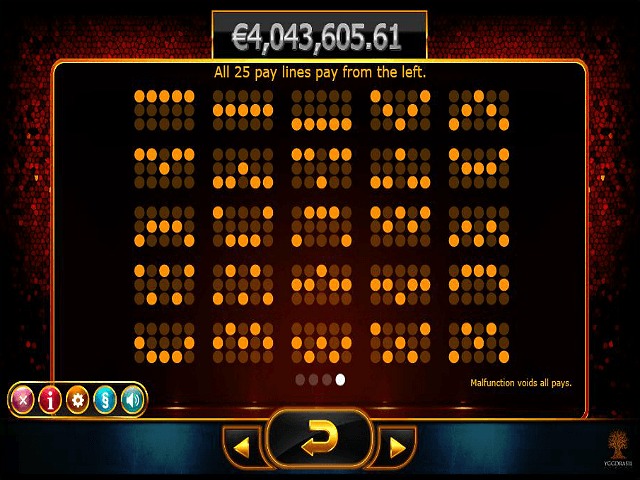 See the colourful figure in all positions, and that massive progressive jackpot is yours. 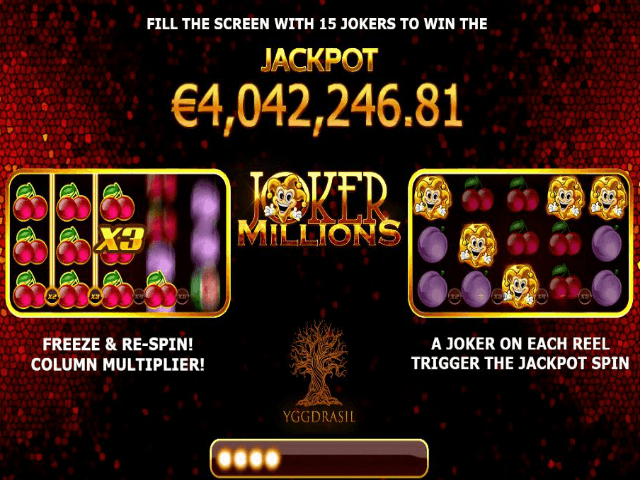 The Joker Millions online slot game is ideal for beginners and more serious players alike, especially if you've always loved traditional fruit machines. Share this Joker Millions Review today! If you like Joker Millions, you'll love these slot titles too!